Most books begin life as a humble Word document. Perhaps drafted over months, even years, they can contain different styles and inconsistent formatting, and they often lack the structure of the formal book design that readers have come to expect. CreateSpace is a print-on-demand (POD) service from Amazon, and IngramSpark is a competitive service from the industry-leading distributor, Ingram. 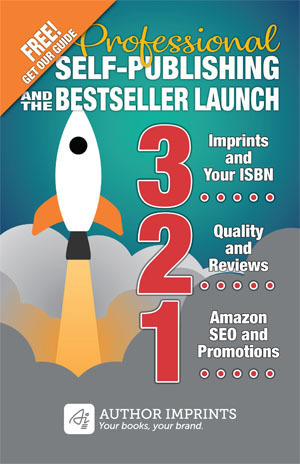 CreateSpace is popular because it provides any publisher—self-publishers and major publishers alike—automatic distribution to Amazon.com. Both services provide highly competitive pricing of books for your personal use and distribution (at venues such as tradeshows and speaking engagements). IngramSpark, the sister company of Lightning Source, is also popular because it offers additional printing options such as hardcover printing, and more competitive color pricing. There is also the undisputed value of their distribution services. Unlike our competitors such as Lulu, Outskirts and Author Solutions1, we do not levy a surcharge on the books you buy from CreateSpace or IngramSpark. You buy them at cost. Also unlike our competitors, you own the design files. Not just the PDF that is used for printing, but the files we use to create the PDF: InDesign files. If you are considering another company, ask them what software they use to create your interior book design and if you can have those files at the end of the project. Owning and controlling these ensures you can easily and inexpensively make edits and corrections to your book in the future. Development of a book cover, including spine. Table and sidebar design and processing. Interior book design, layout and formatting (headers, footers, page numbering, chapter start designs). Title setup on CreateSpace, IngramSpark, or both. Ordering a traditional book printing of hundreds, or several thousand of books. AuthorImprints guides you through this process by providing project management, technical support, and design and marketing consultation along the way. Our goal is to make sure the final book product meets your objectives, as well as your budget. See our pricing page for basic pricing. The final price depends on length and design requirements. Book covers are quoted separately. Please contact us for a free quote. Time to completion depends on what aspects of the publishing project we are handling and the client's availability for review and consultation. A very quick turnaround is 3 weeks, but it usually takes longer due to the time necessary to ship and review a physical proof. Contact us to discuss your specific requirements. You can review a proof online or order a physical copy of your book. We highly recommend clients order a physical proof. You are the publisher, so accounts are established in your name, or your company name. Once set up, we manage the entire process. We assist with selecting keywords and categories, and editing descriptions, and optimizing your book's listing on Amazon for maximum SEO effectiveness. We pride ourselves on our personal service and initiative. If we see an opportunity to improve your title's reading experience, or enhance the marketability of your title, we will volunteer our thoughts. Contact us today to discuss how we can help you use CreateSpace or IngramSpark POD publishing for your book project. 1 Examples of subsidy, sometimes called vanity, publishers include Lulu, Outskirts and AuthorSolutions. AuthorSolutions also publishes books under these imprints: Xlibris, AuthorHouse, iUniverse, Trafford, WestBow Press, Balboa Press, and Abbott Press. If you contact a traditional publisher, and they refer you to a publisher where you will pay to be published, this is probably a subsidy press.